I bought my Summer Infant Pop n Sit because I didn't want my baby sitting on dirty restaurent high chairs as I sometimes find the cleanliness questionable. I absolutely love this product and would recommend it to anybody who likes to be out and about. It works great in restaurants or at friends houses as well as outdoors at picnics. 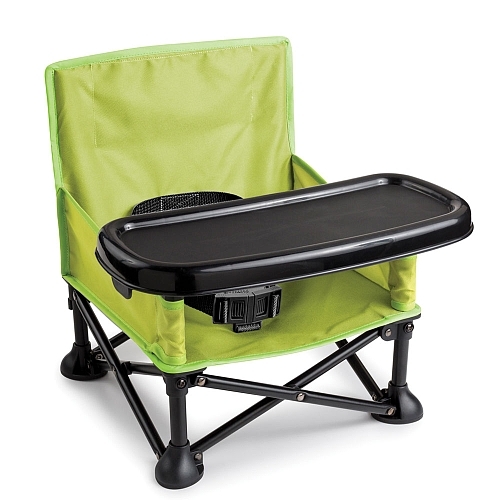 It gives your baby their own seat and the freedom of having their own tray to eat their food. It is super easy to clip on any chair and folds up into a compact bag that has a shoulder strap to make it easy to carry. One of my best baby purchases!